Luke also mentions that using three RTL-SDRs like this seems to be more efficient on the CPU than using a single SDR that has 8 MHz of bandwidth due to the amount of down sampling that needs to be done on larger bandwidth SDRs. When I was using a single SDR, each Recorder had to take in the full 8MHz and pull out the small 12.5KHz that was interesting. The end results is that I could only record about 3 channels at once before the CPU got overloaded. Since that control channel was going at the same time, that was the equivalent of about 32MHz of bandwidth to process. 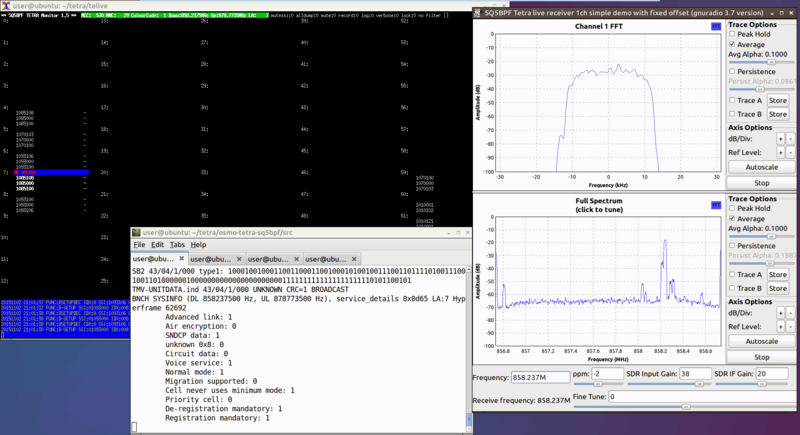 With the RTL-SDR, each Recorder only has to look at 2MHz, which puts a lot lighter load on the CPU. Roughly speaking, having 3 Recorders active, plus the control channel would mean that only a total of 8MHz was being processed. As you can see, this means that it scales much more efficiently. 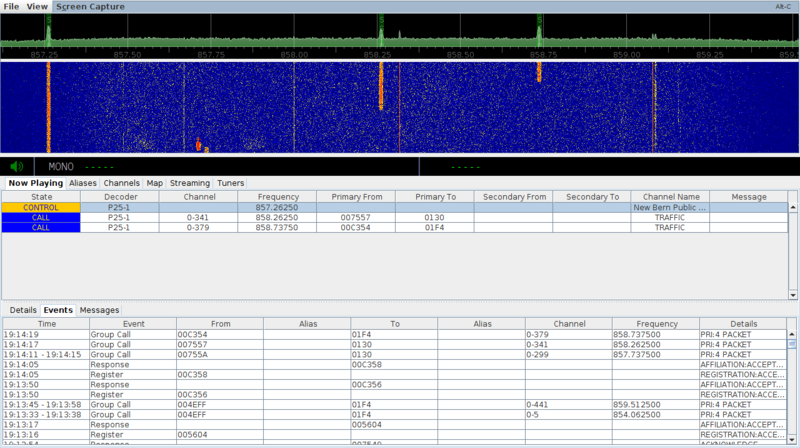 Using three RTL-SDR’s to monitor a 6 MHz trunking system. DSD+ stands for Digital Speech Decoder Plus and is a software program that can allow you to decode digital voice signals such as P25 and MotoTRBO/DMR. DSD+ is under continual development, and in their last public update they began offering early access to the latest DSD+ features in development through their fast lane subscription. The fast lane subscription costs $10 USD for one year and $25 for unlimited early access. Information about joining the fast lane service can be found in the readme file of the latest DSD+ 1.074 public release. Over on YouTube user John Miller has been testing the latest early access version DSD+ 1.08t. This new version adds trunking support which allows you to follow conversations. Previously other software like Unitrunker was required to follow the trunking signal. On YouTube John has uploaded a video first showing trunking in action, and a second video showing how to set up DSD+ 1.08t for trunking. Usually to listen to trunked radio systems, two RTL-SDR dongles are required. One for decoding the trunking control channel and another for listening to the audio channel. However if the audio channels are within the same chunk of received bandwidth as the control channel it is possible to use just one dongle to follow trunked conservations. 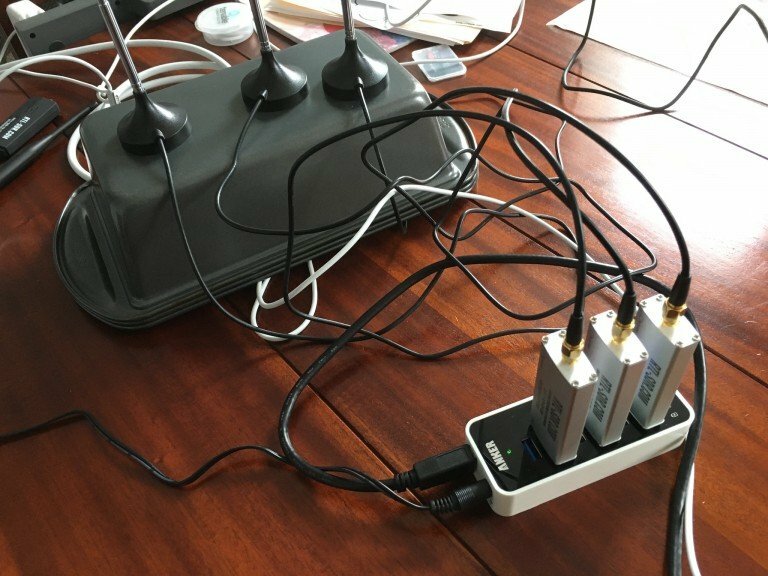 Recently Pawel of pewusoft wrote in to RTL-SDR.com to let us know about a tutorial he uploaded showing how to get trunking to work with just one RTL-SDR dongle. His method uses Unitrunker and SDR# together with the AuxVFO plugin and a new plugin that he wrote for interfacing with Unitrunker. 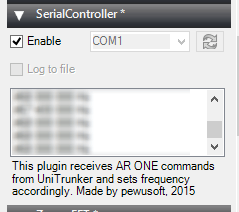 Although there is already a Unitrunker interface plugin for SDR#, Pawel wrote a new plugin based on serial port commands as he found that the original interface plugin did not work properly for him.